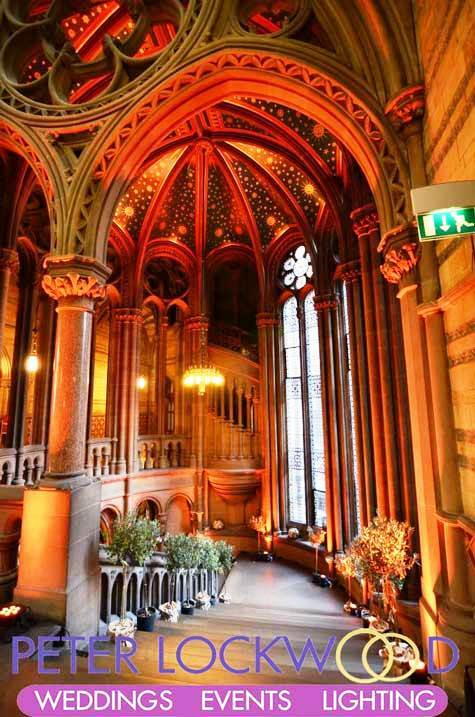 It’s a shame that the town hall is shut so they can bring it up to date with a refurb. 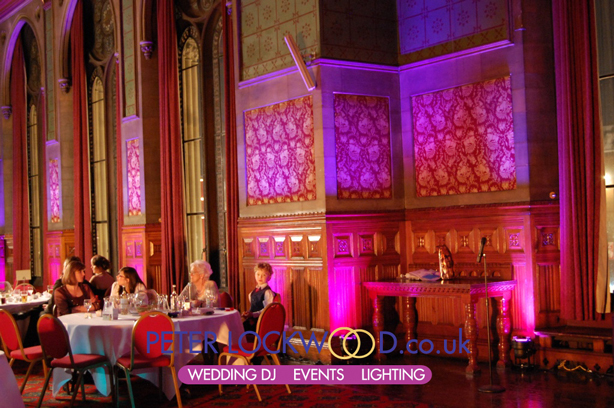 I have had the pleasure of providing my mood lighting in the lovely Manchester Town Hall many times. 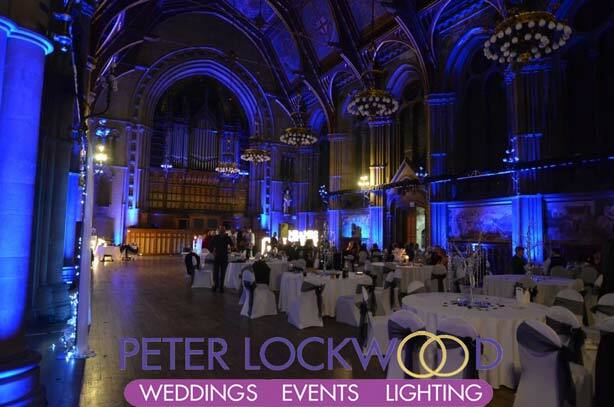 I love providing my wedding lighting in the town hall, its such a stunning venue. 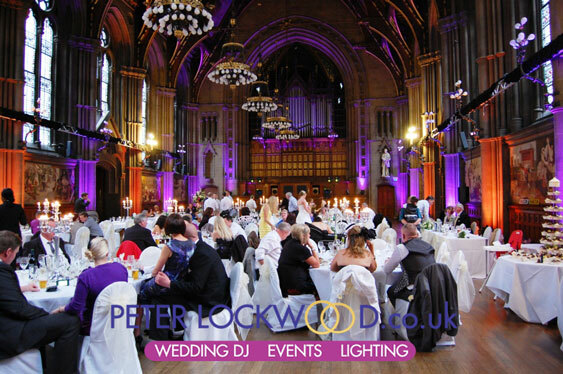 Manchester Town Hall is in my opinion the most stunning wedding venue in Manchester city centre. 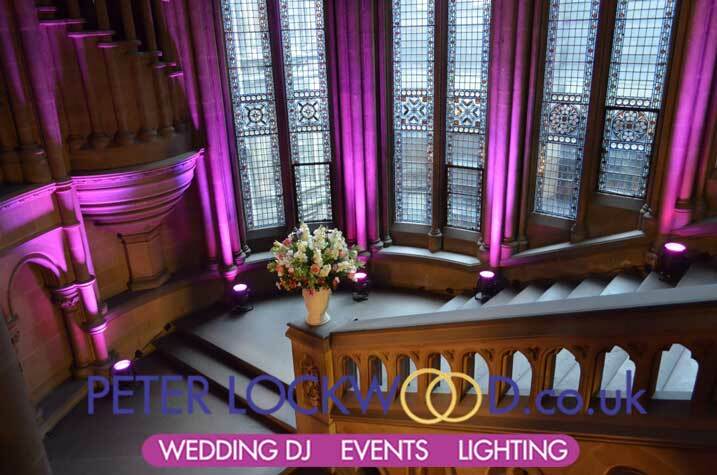 The two grand staircases are a good place to start it takes around 15 lights on each staircases to illuminate them correctly, the pink picture show my old lighting units the orange picture is my new lights they are twice as bright. 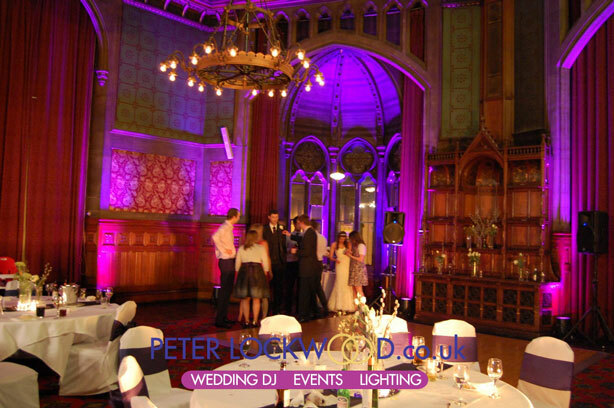 The picture on the top left is showing the great hall in pink I also used 2 heart projection lights on the organ. 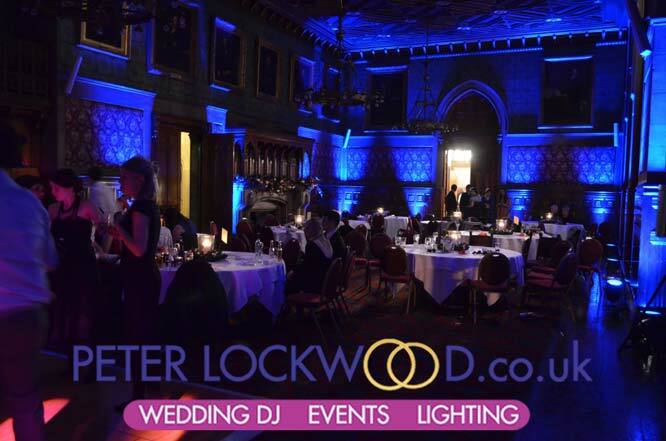 42 Uplights was used to create the look that my bride wanted. 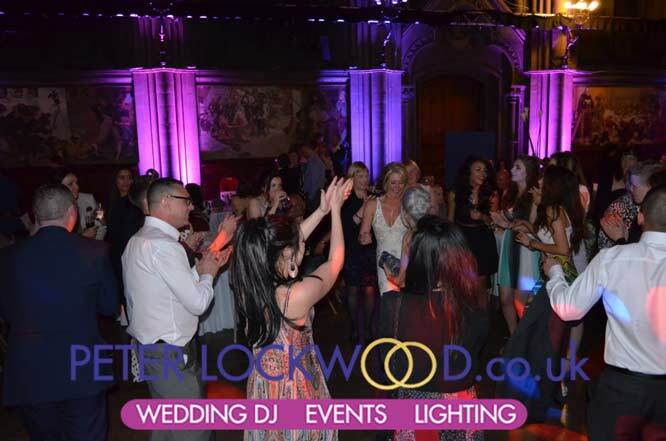 The uplights that I use are high power 5 in 1 LED’s they provide more vibrant colours that standard uplighting can not, yet give out no heat and only use little power. 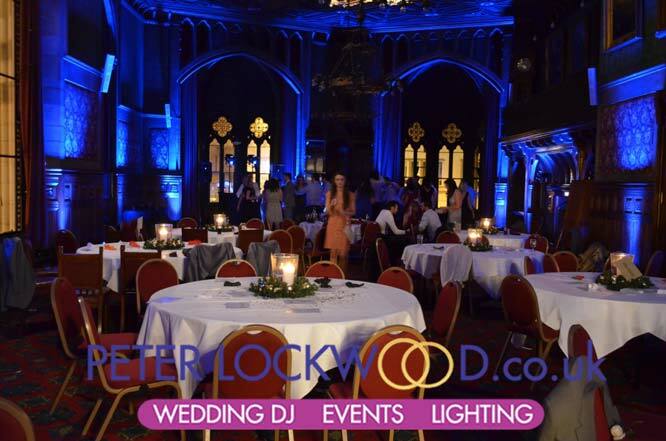 I can safely use the plug sockets in the great hall. 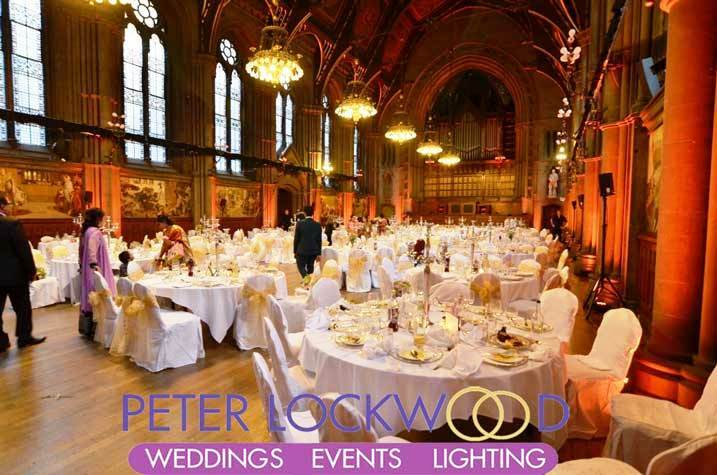 Contact details for Manchester town hall can be found >>here<< Below is a selection of pictures showing my wedding lighting. 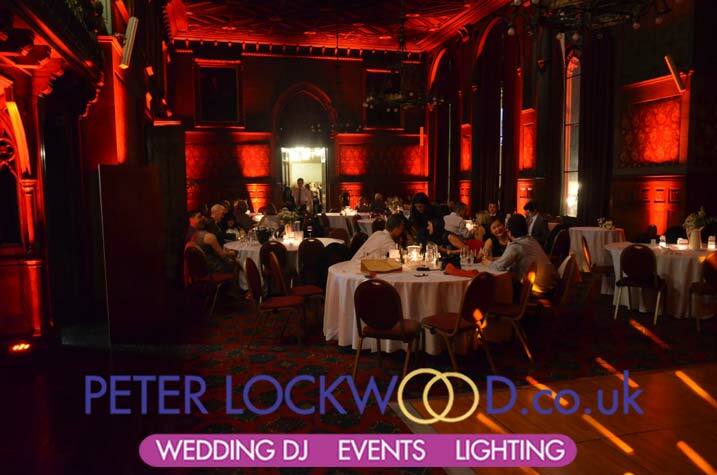 If you have any questions please pick up the phone or drop me a email. 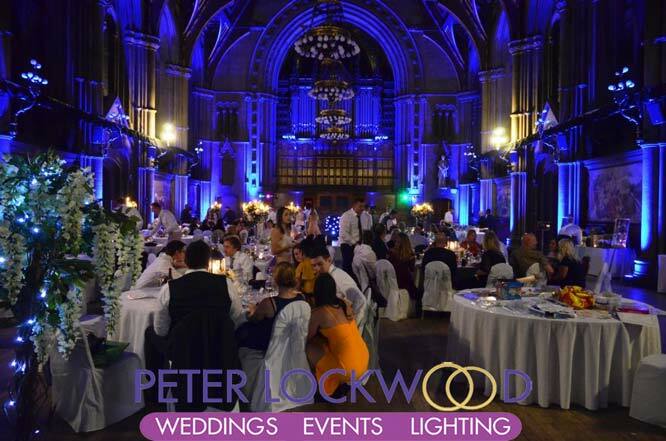 My contact info is at the bottom of the page. 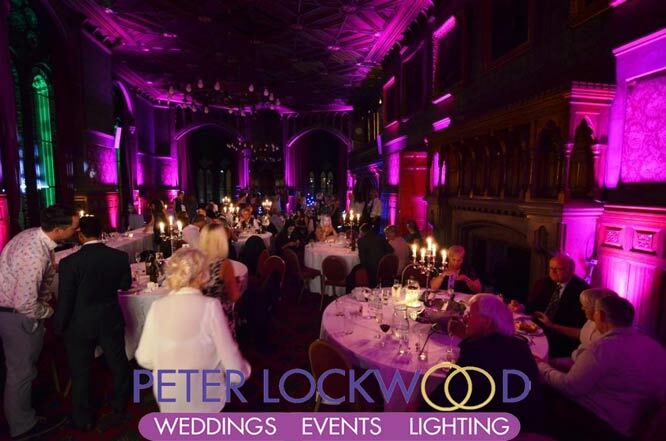 I love putting my lights in the Great Hall It takes from 36 to 48 lights lights to fully bring the room alive with colour the more lights you pay for better it will look. 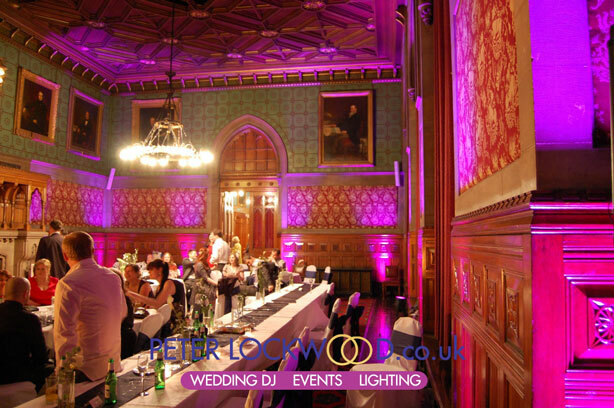 The two pictures show how good it looks with the wedding lighting set on pink. 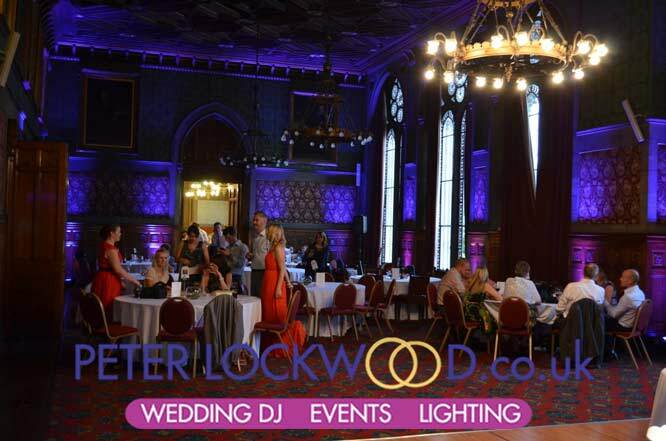 I have provided Up Lighting in the Banqueting Hall inside Manchester Town Hall a few times. 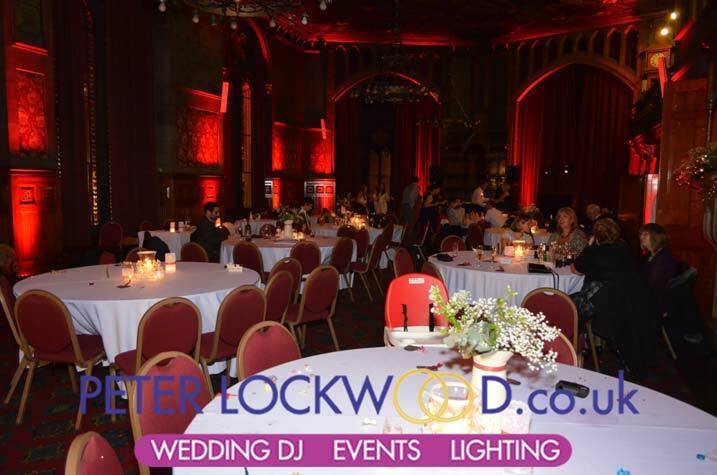 Red lighting looked outstanding in the Banqueting Hall, the red uplights worked well with the reds on the wallpaper to create a amazing colour, The pictures show the room from both ends.